Lawyer, Activist, Judge: Fighting for Civil and Voting Rights in Mississippi and Illinois by The Hon. Martha A. Mills (Ret.) 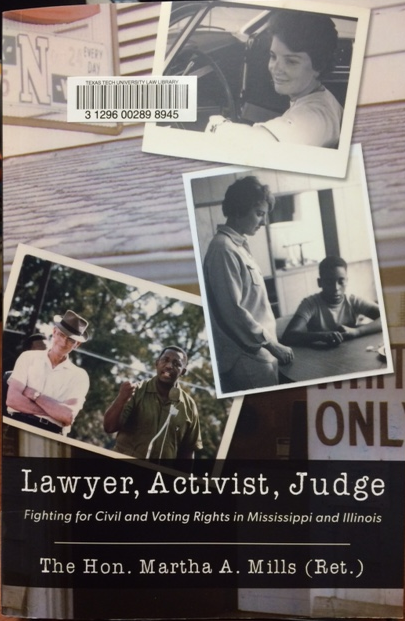 is the autobiography of Martha Mills, an attorney in the turbulent 1960’s era who spent time working to further justice in Mississippi and Illinois for those that were not treated equally under the law.